This weekend I hit a big goal. I now have 20K followers on Instagram! I truly had to look at the screen three times to realize it was real. I am thankful for each one of you. I am thankful for each lovely comment, email and smile you provide each day. I am also truly thankful that a habit that I started for some creative time has turned into a five day a week job. Thank you for making The Pink Clutch a full fledged brand!! In 2008 I posted a list of 100 things about me and I was surprised at how many things I could share. I decided this weekend while relaxing that I would expand on that list for all of my readers and followers. Some things you probably know and hopefully some you don't. So today I give you the second list ... 100 More Things About Me. 1. I love nuts, I have learned recently that peanuts are bad for my migraine tendencies so I had to give those up, but any other nut is fair game and I eat them quite often as snacks. 2. I have recently become a connoisseur of Gin. This summer has been the summer of gin drinks and I find them so refreshing. 3. I am a major love of quality time. Any time spent with those I love truly means so much to me. I am always such a happy girl when someone carves out some of their time for just me. 4. I love candles. Lavender, gardenia and anything citrus is usually my go to when I buy a new one. 5. I love a bookstore. As a child I spent many afternoons after school in the library by myself and doing my homework before my mine picked me up so I think getting lost in a bookstore is just my grown up library. 6. I have been collecting coffee table books for a few years now and I have quite the collection going. I have a list of books I would love to own and I am slowly making my collection more amazing. 8. I might have a tote bag problem. I have quite a few of them including a Ralph Lauren black watch plaid one from the late 80s and I can't seem to part with any of them. I mean, a tote bag is just a beautiful thing. 9. I seem to have a problem getting rid of magazines. I need to purge them since they just seem to sit around and collect dust, but there is something fabulous about flipping through an old stack of mags. 10. My favorite magazine is House Beautiful. After that I will grab the Vanity Fair, Veranda and Town and Country. 11. I read magazines from back to front ... I don't know when it started but it is the way I read them. 12. The only magazine I subscribe to is Southern Living. I feel like its just something a southern woman is supposed to do and I love when it arrives each month. 13. I love blue and white porcelain. Chipped, a little faded on one side, I don't care one single bit. 14. I have a collection of antique floral oil paintings. They are currently hung on the walls of the back stairs along with a few here and there in the house. I have a stack more to hang on the basement stair walls ... I need to make that happen. 15. At the moment we have a 19 (almost 20), 15 and soon to be 12 year old. Some days I don't feel old enough to be their parent. 16. I am truly battling with the idea that my littles are truly getting older. It is hard to see them so independent. It is the thing that makes me sad and the most proud at the exact same time. 17. I was always super nervous to be a mom to a girl and now I see how silly that was. I can not imagine one day without her in my life. It is like having a mini me only a tougher, stronger and more brave version. 18. All of the rooms in our house are bright colors except for two. Our middle child has a tan bedroom and our master bedroom is chocolate. 19. I love surrounding myself with color, but I drive a black car with a tan interior. I do like a black car, I just feel like its so classic. 20. I love an adventure. You can call me last minute and tell me you want to go do something and I will do my best to make it happen. I love being spontaneous. 21. We have about 12 pillows on our master bed. I should probably edit some of these. Lawyer calls most of them "the pillows we aren't allowed to touch" and piles them up on a chair in our room before we go to bed. He seems to pile them up on my chair so I can't see the TV. This might be a sign. 22. Our house is a mix of vintage I have collected and a lot of pieces we have inherited from his family and mine. I love the mix. 23. My favorite piece I received from my family is a round table that my grandfather bought when he was antiquing years ago. He bought about six of them and the one I have was our kitchen table for years and now belongs to me. We used it as a kitchen table until our family grew to more than 4. 24. My favorite piece we got from Lawyer's family is hard to chose. I would say it is a pair of dressers that we got from his parents. They are old and gorgeous and came from Hoodland in Pennsylvania many, many years ago. When we get something from The Minears it comes with a little note and some history. 25. I also have my mother in laws bible which is so special to me since it is well loved and has so many notes she made in it. 26. My first job was at Little Caesar's pizza. The kids still talk about it when I grab pizzas for them. I put a dent in the car my senior year of high school and my dad made me pay him back. The bill was $350 and I remember thinking it would take forever to pay it back. 27. My favorite season is summer. I think it is because it reminds me so much of growing up in Florida. It is blistering hot and I have a uniform of a t shirt and shorts with flip flops. I am always sad to see it go and count the days until summer again. 28. I moved to Atlanta on October 31, 1993 and I remember my first fall here. I was so excited to drive in the crisp air with the windows down and the leaves falling all around me. I always remember all of these things when it turns mid to late October. It was my first big adventure and one I will never forget. 29. I love having my nails done, but I despise doing them myself. I am horrible at it! 30. I don't wear a lot of makeup. I am a blush, mascara and lipstick girl. For a fancier evening I add in eyeliner and eye shadow. 31. I do own like 40 tubes of lipstick, lip gloss and lip liners combined. It is sort of crazy. 32. My favorite accessory to buy is either a new pair of shoes or earrings. You can style a whole outfit around either of them. 33. I am having a major love affair with stripes at the moment. I think I own 6 new shirts with stripes. 34. I had perfect eyesight until I turned 40. It was almost like someone flipped a switch and now I am dependent on glasses to read and see the computer. 35. I love fun and funky glasses. My two pairs in rotation at the moment are a pair of blue velvet and square tortoise frames. 36. I loved reading Nancy Drew mysteries as a child. I do remember reading them and being afraid at times. 37. I have started a collection of them for our youngest. She hasn't gotten the Nancy Drew bug yet, I may need to read one or two of them with her to get her started. 38. I think reading Nancy Drew sparked the investigative reporter in me. Well that and being a mother. I am always asking questions and trying to get the full story of everything. My oldest thinks I am just nosey! 39. I love framed photos. Seeing a photo takes me immediately back to the moment it was taken. I have a bunch of them framed and hanging in the hall upstairs and I am constantly adding to them. I have a stack I need to frame and hang at the moment. 40. My closet is way too small and hard to manage. I say way too small, and that is not completely accurate. It is small and the set up is all wrong for what I need. I have to walk in and shut the door to be able to see the whole thing and it is packed full. Sometimes I hang things in Lawyer's closet and I always get busted. I mean, he doesn't use it all so why shouldn't I share? 41. I do not watch the news. It truly stresses me out. I am, however, a huge junkie of US Magazine and read it more than once a day. 42. My husband on the other hand is a news junkie. He reads up on the news multiple times a day and then reads back stories for things he thinks he needs to be up on. He is basically watching for both of us. 43. Our garage is a huge mess. It needs to be completely emptied and purged and organized. I get very anxious when people drive by and see my boxes pilled up. Adding this to my fall project list, it must happen. 44. I love a bath. I don't take enough of them but I find it so relaxing to soak in the tub before bed. 45. I only wash my hair every few days. It is very dry and the last day it will always be up and spritzed with dry shampoo. I used to hair very short hair and I washed it every day, but now that its longer I can go much further between washes. 46. I love a good blow out. 47. I have the worst blow dryer and need a new one. I have heard from multiple people that my hair dryer is basically useless which is probably why I don't like to blow dry my hair, it takes forever. 48. I love to travel and the best part for me is the adventure of a new place and new things to find and do. 49. I like to start planning outfits days in advance. I set them out and play with them and change things up until I get everything just right. 50. I am definitely an over packer. 51. I am a morning person. There is nothing better than starting the day low key with a relaxing time drinking my coffee. 52. Don't get me wrong ... I will never say no to staying up late, especially for an adventure! 53. If it comes in pink I will chose it every single time. 54. If I can add a monogram I will absolutely do it. 55. I am not really a t shirt girl, but I will pair them with pj pants or shorts for a day around the house or to run errands. I tend to always wear the same blue Seaside t shirts or another navy one I love. 56. I buy most of my clothes at J Crew. Sometimes I think I should work there part time. 57. My husband is convinced I can't wear sweats because I really don't like them. I do own one pair of old school Gap navy sweat pants and one grey sweatshirt but it really isn't a typical simple style. He says it isn't a sweatshirt because its "fancy". 58. I went through a whole fall one year loving the velour track suit trend. I can't believe I wore them and I am so thrilled I fazed them out quickly. I did wear it with a solid t shirt with a monogram. Not sure if that makes it any better. 59. We own two dogs, both are Jack Russel Terriers and they are both males. One is definitely my dog and the other one is very attached to our youngest. We got them they same day from the same breeder. They have the same father but different mothers and so they look similar but their body shapes are very different. Miles is way more muscular and Murphy is thinner and more petite. Miles' ears fold over like they should and Murphy's stick straight up in the air. 60. My hair as a child was very strawberry blonde, but as I have gotten older it has gotten darker. The grays are showing up so it gets highlighted. I definitely add more blonde back in to keep it from looking more dark. 61. One of my oldest and dearest friends cuts and colors my hair and I think he does an amazing job. 62. I listen to almost all kinds of music, the exception would be rap and country. My playlist includes everything from the "bubble gum" music of today (as my husband calls it) to Frank Sinatra. I am singing as loud as the kids in the car to today's music. 63. I have a CD collection I just can't part with from my days before kids. It includes Dave Matthews, Mariah Carey, Sarah McLachlan, Peter Gabriel, The Dixie Chicks and Chaka Khan just to name a few. And there is not one Michael Jackson CD I don't own. 64. I am a saver. I save every single letter and card ever sent to me. I keep them in boxes and one day I am sure my kids will be cleaning out my stuff talking smack about me, but I could care less. 65. I love to look at the cards and letters my grandmother sent me just to see her handwriting. She was a loyal and avid letter writer and truly believed in the art. 66. I miss my grandmother every single day. 67. There are many reasons why I married my husband. First and foremost would be his loyalty and commitment to me and our family. He is incredibly loyal and loving, even if it isn't something he wears on his sleeve as openly as I do. 68. My husband is funny, as in really funny. The worst part is when he makes me laugh when I am trying my darnedest to be angry. 69. I am loyal to the end. I will fight for something I believe in until it is ashes and dust and then I will still sweep it together and fight for it again. I don't believe in giving up, almost ever. 70. I love deep and wide and sometimes I get hurt deeply. I also forgive and completely believe in forgiveness. See #69. 71. About six or so years ago I gave my husband a quiz I found somewhere. One of those "how well do you know your significant other" things. He did not miss one single question and some of them were quite random. He even got the "what salad dressing does your significant other prefer". That man knows me well and pays attention to everything. 72. The answer was oil and vinegar. 73. My favorite pair of shoes are my worn in perfect fit Rainbow flip flops. I have them on at least once per day and most days more. 74. I still have the shoes I wore the day I got married. 75. I also still own the shoes I wore the day my best friend got married. Both times. 76. I prefer even numbers over odd. I have only owned homes with even numbers. I just feel better with an even number. 77. My cell phone number ends in an odd number and I wish it didn't. 78. I have now visited 21 states and still have not traveled to Europe. I am planning a trip to Paris for the next big birthday. 79. I would love to own both a beach house and a lake house. If I could only own one of them I would chose the beach for sure. 80. When I was little we went to Indian Rocks Beach every single Saturday. I can remember driving home in my mother's baby blue Pinto feeling the waves washing over me. 81. I failed out of college my second semester. I didn't really understand the concept of having to go to class to succeed. Nothing like hitting rock bottom to decide you don't want to be nothing. In the end I graduated with a pre law degree and only one semester behind my friends. 82. I met my best friend the last year of college. We both worked in the same building and had a Criminal Justice class together. She drove a Volkswagen Jetta and I thought it was the cutest car ever. We both left class and drove to the same building in downtown Orlando. Now that I think back we should have probably carpooled. 83. We both go by our middle names. And as I mentioned before, her name is our daughter's middle name. I learned recently that her paternal grandmother's name is identical to our daughter's name. 84. I love to open the windows in the house. Sleeping with the windows open and waking up to a crisp feel in the air is the best. 85. I always have a to do list. It may just be from the current day or it may be one I have had going for a while. 86. The best part about a to do list is scratching things off. I will add things I have done just to be able to scratch them off. 87. I can not throw away a list until everything is crossed off of it. 88. My very first best friend was killed in a car accident when I was in my first year of college. I still don't know what really happened to her and it will always trouble me. 89. I prefer sweet over salty but if you can combine the two it becomes the perfect treat. 90. I am a logical vs emotional thinker. I will plan something out in my head before doing it or saying it. However, if I am upset it is emotion all the way. 91. This is something I have learned to do and isn't always easy, especially when my kids are involved. You will find I will not respond over a quick response every single time. I try to pray through and think about all angles before I respond. 92. My mother always felt a trip to the mall should include a stop into Godiva and I completely agree. If they don't have a Godiva shop I will make sure to pick up a sweet treat somehow. It just makes the trip special. 93. After working in the mall for many years I stopped shopping there for quite a while. I am still not a mall girl, but I do visit one end of one mall in town and can be found in more shops in two others. I prefer an open air mall vs a closed one every single time but there are some shops, like Nordstrom, that you just can't find in an open air mall. And how could I ever give up the Neiman's cafe? 94. When my grandmother took me to the mall we always ate lunch at Maas Brothers. She loved the cafe which is why I am sure I am drawn to the Neiman cafe to date. 95. I believe any cold drink is better with a straw. It makes it easier to drink in my opinion. 96. I learned recently that it is in bad taste to drink a cocktail with a straw. I immediately purged all my bar areas of the darling paper straws. They are now used for kids drinks only. 97. I wish we had a local coffee place close to the house. I would be there at least three times a week for sure. 98. I love brunch, actually I love the idea of brunch but also love the food. I could eat breakfast food any time of the day. My kids hate the idea of breakfast for dinner. 99. If you told me years ago that one day I would write for a living I would have told you that was silly. I would have been completely wrong, as I often am. 100. I am incredibly blessed and don't ever take it for granted. That was harder than I thought it would be, but always so fun to do. If you haven't written one about yourself I challenge you to do so, you learn so much about yourself in the process!! Love this!! Congratulations on your 20K. So impressive! I'm emailing you about your garage. Thank you for sharing! 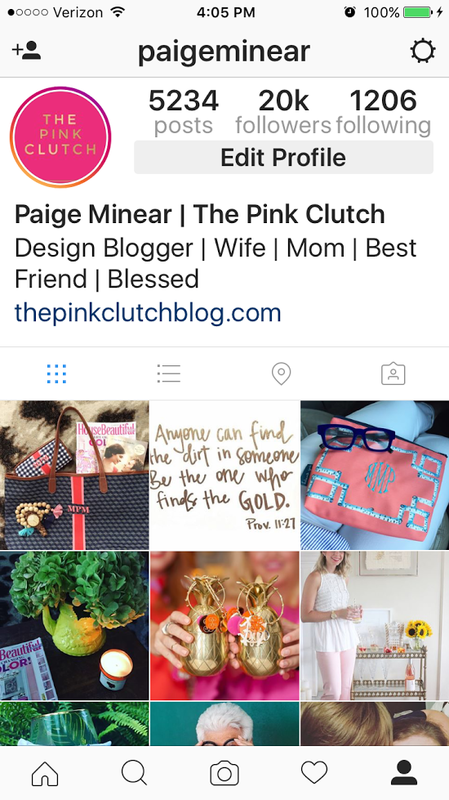 I love your blog and instagram! I went to Indian Rocks Beach for a week every May, for about 20 years. My Aunt & Uncle had a place on the Intercoastal. I took a trip there this May by myself, because I missed it so much. My Aunt and Uncle have been gone now for several years. IRB holds a very special place in my heart. I love when people do these lists! Thank you for sharing!